These are some optional materials that many K teachers have found useful. If your starter set came with erasers you might not need these – and can use recycled gym socks or rags, but many Tools teachers like these erasers for children’s whiteboards. 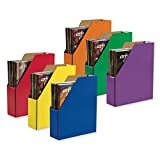 Some teachers like to use these to store children’s work products. 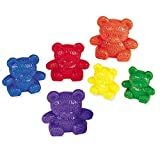 Counting bears are just one of the manipulatives that can be used in many Tools math games. Tools trainers use these in workshops and many teachers have wanted one for their classrooms.